Not a disc to consume at one sitting, I fancy. Each of the works, though well contrasted and distinctively individual in style, is a meal in itself. Jump cut directly to “Hov arek sarer jan”: this is a piece that is not comparable with anything you will have heard in a long, long time for sheer sonic splendour. It’s as if the dome of a Byzantine temple has opened to the dome of heaven and all its shimmering constellations. It’s a musical mosaic, this piece of golden, light-catching surfaces. 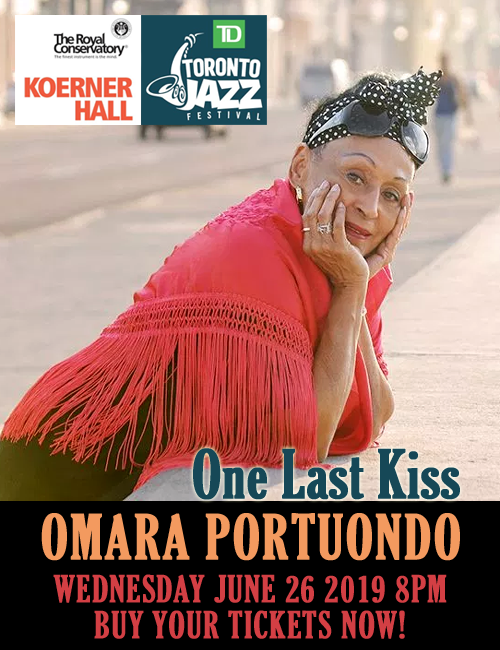 It achieves transportation in the rapt wonderment of the voice of the ineffable Buika and, toward the end, the swooning of its wordless chorus. Vahagni obviously adores that piece and well conveys its intoxication. This is enough to make the heart dissolve in ecstasy. But there is more; much more. Other pieces – such as “Ghost Ships” arrive like purification – simple and direct, and cut from the same cloth (though less Armenian). The nature of other music makes for something humbler and more intimate. “Sketches of Dali”, “Mirrors”, “Pendulum” and “Indigo” sum up a personal ethos, plaintive and as archaic as it is modern – with a broader hint of 21st century veneer. But the heart of the matter, which arguably had been reached with “Pomegranates” has been reached again with “Beneath the shade”, both of which find fitting expression in beautiful chord progressions. It is here that Vahagni rolls out one of the most beautiful sets of melodies he has written for the record. The music on this record comes from Vahagni’s extraordinary world view, one that traverses the widest musical topography of his experience. But he does not merely hear this music – or collective ‘musics’. He enters into it idiomatically and is able to craft his own unique turn of phrase. There is sometimes a hint of flamenco; at other times it is positively Byzantine and still others sound authentically Armenian. Still, this is not what is often crassly described as ‘world music’. 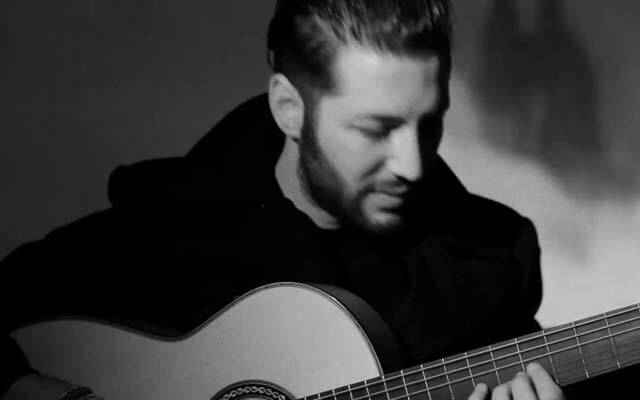 It is a unique point of view forged in the fire of a classical guitarist’s heart and soul. Flights of fancy are undertaken with feet firmly planted on terra firma, the edgier writing displaying more of a kinship with Bartók than with anyone else, until a gorgeous return (in “Ghost ships” – with Sebu) suggests an almost Ravelian sensibility. Vahagni’s carefully prepared sound design dominated by ululating textures never disappoints the listener. He makes it all sound subtler, less brash and disjointed than usual in such slow-burn interpretations. Remarkably it is a score that also sears itself into the memory, led by the glorious lyrical guitar and the balletic grace with which its notes dance out of it. Music like this is a feast for the senses in an almost classical sense and at the heart of it is a supremely talented young guitarist of who expect to hear much in the coming months and years. Track List: Pomegranates; Hazel; Hov arek sarer jan (featuring Buika); Sketches of Dali; Ghost ships (Dream sequences); Mirrors; Cheridov suite; Pendulum; Indigo; Beneath the shade; Ghost Ships (featuring Sebu). 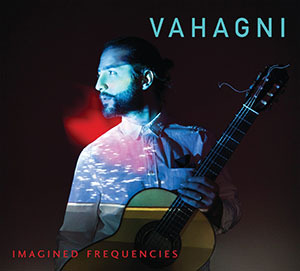 Personnel: Vahagni: guitars; Buika: vocals; Sebu Simonyan: vocals; Ramon Porrinas: cajón; Tigran Hamasyan: piano; Arto Tuncboyaciyan: percussion and vocals; Gavin Salmon: drums and percussion; Artyom Manukyam: bass and cello; Kassandra Kocoshis: cajón; Noryr Kartashyan: blul; Ruben Harutunyan: duduk; A.chilla and Vahagni: sound design and samples; Rob Amjrov: live sound processing; Jimmy Branly: percussion; Chris Woods: violin.